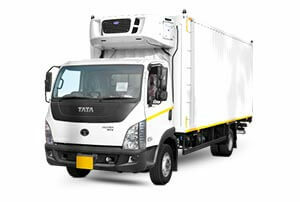 Tata Motors unveils a range of customized vehicles for the E-commerce industry at the E-commerce Expo 360. 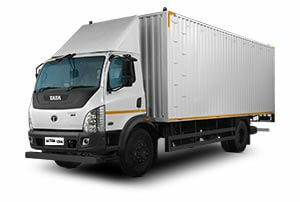 Tata Motors has launched a range of "E-Commerce optimized" Light Trucks; developed after doing extensive research on the specific needs of the E-Commerce industry. 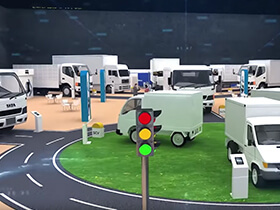 With design and features that are reflective of the insights gleaned from this research, the new line of light trucks comes with an array of advanced anti-theft, security and surveillance features. And being aimed at hub to spoke transportation of heavier and long haul E-Commerce consignments, all the models also guarantee you high reliability and great operating economics. This range of market ready, customized trucks includes custom variants of all-stars like the Ultra 1518, Ultra 1014, LPT 1412 and SFC 407. 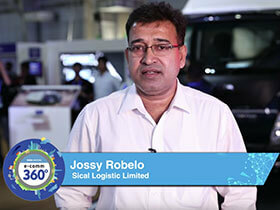 Jossy Robelo, Sical Logistic Limited, is proud of his association with Tata Motors. He believes that the customized trucking solutions provided by Tata Motors for the Logistics industry, will help the sector take a giant leap in the E-commerce revolution. 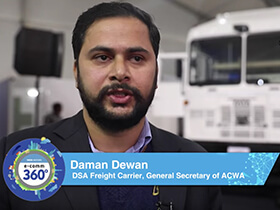 Mr. Daman Dewan, DSA Freight, GSA of ACWA on how Tata Motors has set great standards in the industry with its excellent facilities. 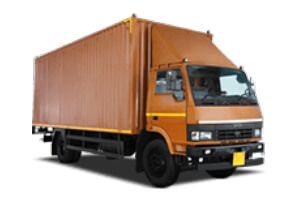 He further adds that the large network and after sales service, make Tata Motors a great choice for transporters, especially in the E-commerce industry. 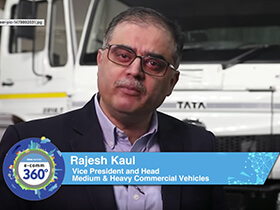 Rajesh Kaul, Vice President & Head - Medium & Heavy CV speaks about how, after thorough research, numerous features have been embedded in the new range of Tata Trucks to meet the requirements of the rapidly growing E-commerce industry. 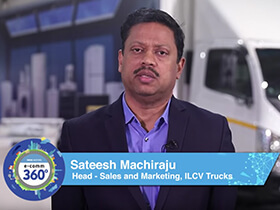 Sateesh Machiraju, Head - Sales & Marketing, ILCV Trucks, India, speaks about a new range of trucks that come equipped with features like a driver interactive system, safety features, and specially designed containers with partitions, that fulfill all requirements of the E-commerce industry. 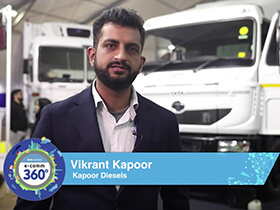 Vikrant Kapoor of Kapoor Diesels on how features like the fuel theft system, partition system, and the foolproof locking system in the latest range of Tata trucks are a class apart. 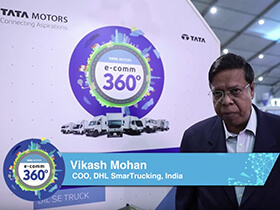 Vikash Mohan, COD, DHL SmartTrucking, on how the new range of trucks by Tata Motors is a comprehensive solution to problems faced by the logistics industry. He believes that new range addresses the needs of the e-commerce and express cargo industry, very well. Join India's largest commercial vehicle manufacturer at the E-commerce expo 360. 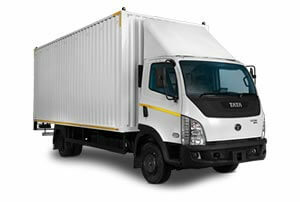 Tata Motors, with its diverse range of commercial vehicles, promises great returns for all kinds of businesses. 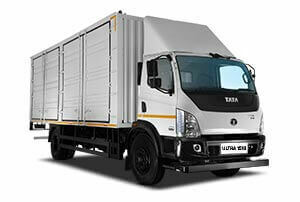 Experience the revolution of commercial vehicles with India's biggest vehicle manufacturer at the E-commerce expo 360. 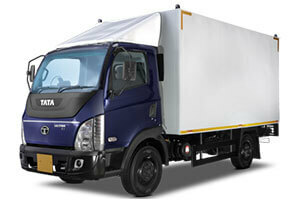 Tata Motors to display its range of vehicles specially optimized for the E-commerce industry. 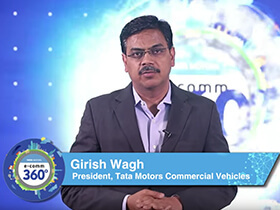 Mr. Girish Wagh, President, Tata Motors Commercial Vehicles, believes, the new range of optimized trucks by Tata Motors will not only bring great returns but will also significantly reduce operation costs, especially for industries like logistics and E-commerce - that require regular transportation of goods and last mile deliveries.